Watch your favourite programmes no matter where you are in or outside your house with Videotree’s world-first waterproof and weather proof Televisions. 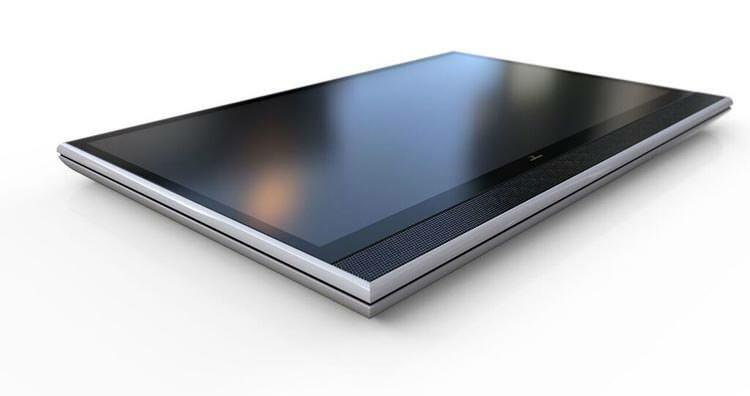 Television technology has never been so versatile, allowing you to be entertained in any environment on a screen so sleek that is as much a work of art as it is state-of-the-art. Whether you want to enjoy a blockbuster in the bath, ‘Game of Thrones’ in the garden or a soap in the spa, Videotree’s range of expertly designed televisions have the answer. 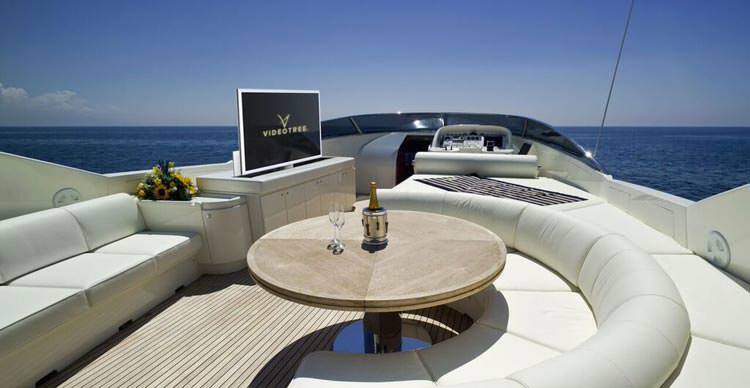 Videotree are the leading pioneers in waterproof television technology and over the past 15 years have developed a breathtaking range of quality, luxurious waterproof, mirror and outdoor televisions that are guaranteed to give any crib the ultimate wow factor. Videotree’s leading range of waterproof televisions provides ultimate state-of-the-art entertainment in a multitude of environments. 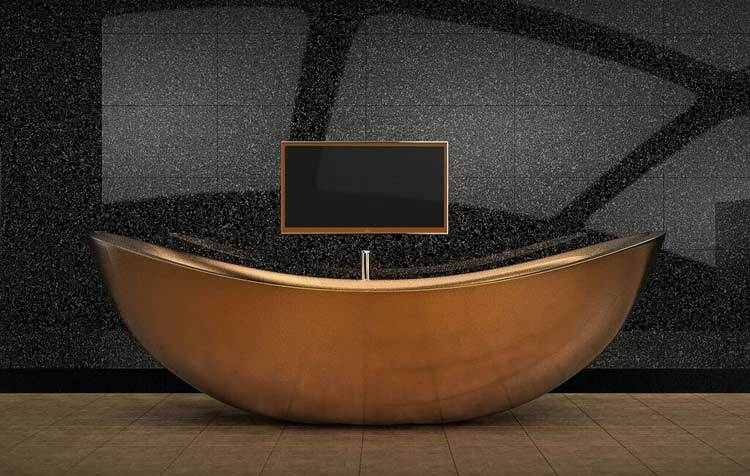 Add that VIP vibe to your bathroom, en-suite, pool area or even spa and unwind whilst enjoying your favourite television programmes on a high-end contemporary glass styled screen. Made with elegance in mind, each television is as beautiful to look at as it is ground breaking in design. Videotree waterproof televisions are available in a variety of opulent colours and can easily be mounted either on your wall or installed within the wall itself for a fully flush ‘frameless’ finish anywhere within your home. Each comes complete with an IP66 rating to provide complete protection against moisture and dust and is manufactured with the latest 3D technology software. Industrial 1080p, Full HD and 4K Ultra HD display options are available. Ensure you have no reason to leave the tub by switching channels mid swim/bath that sun bed by using the sleek waterproof remote control, so you and separate wall/ceiling mount speakers are available with Digital Audio Quality. Enjoy versatility and multi connectivity with HDMI, composite, component and VGA inputs and add that extra cinema-style quality by choosing additional in wall speakers that fit fully flush to most surfaces to amplify your television audio. Add a spark of glamour to your house by installing one of Videotree’s newest range of Mirror Televisions. These beautiful centrepieces pose as an elegant mirror whilst moonlighting as a hi-tech television when switched on. Boasting stunning visual imagery and a sleek and subtle contemporary design, this range offers the most sophisticated mirror televisions on the market. Whether you are looking for an opulent dressing table mirror, a small vanity bathroom mirror, a focal point framed mirror in your dining room or a larger commercial LED panels the mirrored screens can be made to any size, without compromising on picture quality. Their high-brightness, high-contrast screens will display your favourite channels in all their technicolour glory. Unlike your average television, Videotree Mirror televisions are completely borderless, meaning you don’t have the give-away rim around the screen edge. This creates the ultimate mirror illusion, ensuring a crisp reflection when the screen is turned off and incomparable clarity when on. Meeting their customers high standards and expectations of interior design, Videotree offer a range of bespoke finishes, including behind-glass options for televisions hidden beneath glass walls and glass kitchen splashbacks. Standard-sized televisions are supplied with a splashproof remote control for easy and versatile channel hopping and larger televisions are provided with a fully waterproof remote control. Ideal for commercial digital signage, Videotree’s use of high contrast industrial panels makes them a low-cost option for a wide range of environments including marine, hospitality, leisure and health resorts. 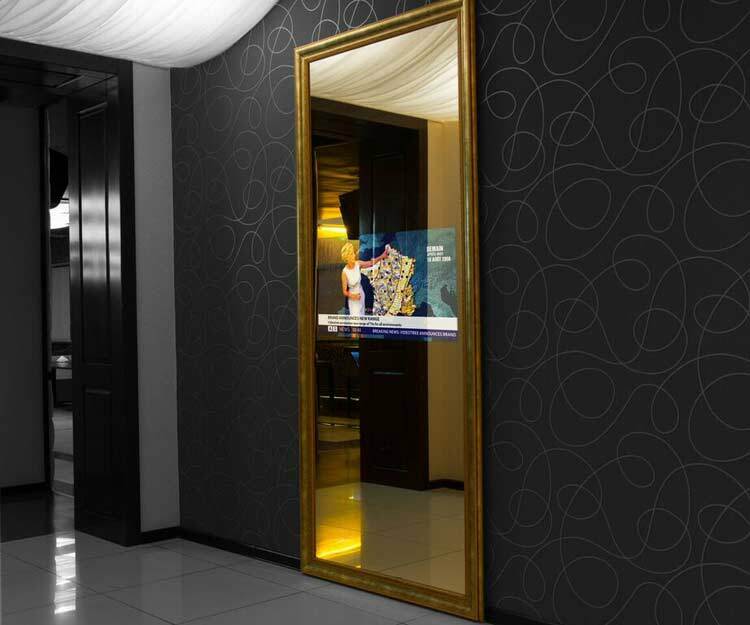 With optional IP connectivity, each mirror television can link to new or existing services. 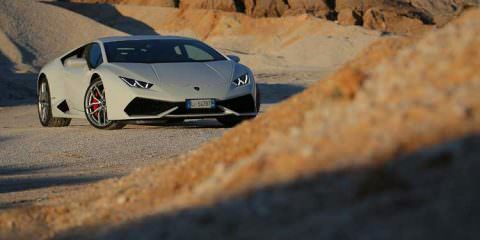 All models come with a definitive sound system, hidden glass exciters and individual speaker bars – all of which can be tailored to your requirements. With a range of finishes, framing, mounting, IPTV connectivity and speaker options, Videotree mirror televisions are as unique as their owners. Take entertainment outside with Videotree’s elegantly designed, slim line outdoor televisions. Perfect for creating a cutting-edge garden or al fresco seating area, the outdoor television range boasts a multitude of features including a toughened glass, double-coated, anti-reflective, high brightness screen for clear viewing in any condition and an IP66 rating to provide the ultimate protection against dust, moisture and insects. Designed to appear fully integrated into its surroundings, each television measures as little as 42mm in depth, ensuring a sleek and flush finish. 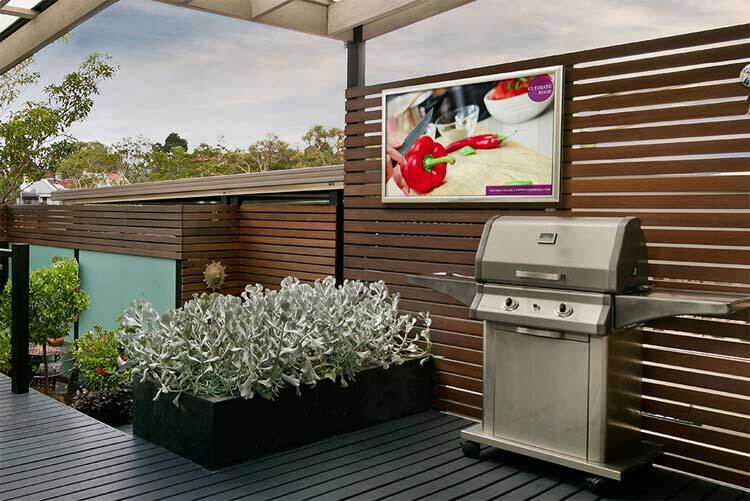 Regardless of the setting, Videotree’s outdoor televisions can be custom designed, with bespoke framing and installation options as well as optional metal frames for free standing. Come sunshine or rain, Videotree’s use of super high bright industrial panels means they will continue to impress, with a patented silent cooling system for those summer days and an optional internal heating system for when the frost sets in. Videotree Outdoor televisions are not only suitable for gardens and pool areas, they can also provide stylish digital signage for pubs, bars and restaurants whilst keeping guests entertained at a range of outdoor events including weddings, parties and concerts. Each television is supplied with a wide range of inputs including HDMI, PC, Component, RGB, RS232 and IR in and out – compatible with all leading home and professional integration systems. Designed and built in the UK, all Videotree televisions are manufactured to an IP66 rating – fully protected against moisture and dust for installation in any environment. Designed using the latest 3D technology, each Videotree television is carefully built to exacting standards by a team of highly-skilled technicians to integrate the latest television technology into a sleek, slim line television module. All products come complete with quick and easy installation, a DVB-T2, IPTV and global signal compatibility and two year manufacturers guarantee. Designed and manufactured in England by an expert team of technical and design specialists, Videotree’s roots go back to 1990, when concept Designer and Founder Ian Rees set out aiming of meet a growing rise in demand for access to television and internet services outside of the living room. Previously Ian had been working in Africa for Tiny Rowlands installing large 6m satellite dishes for hotels. At the time he was asked to install a speaker in the bathroom and it always stuck in his mind how products should be made that are bespoke to the wet room environment. A few years on, Ian created the first fully waterproof HD LED television, suiting for all environments in the home, healthcare, leisure and hospitality industries and embarked on an incredible journey of innovation and technological mastery. It was in 2000 when the ‘Videotree’ name itself was born. At that time the main business was installing TV systems and data networks for the stock exchange and financial institutes in London – years before multiple TV’s were common place on the desktop. Ian and his team created a Tree of TV’s on a stand, giving birth to the name ‘Videotree’. Technology doesn’t stand still and through dedication to an unrelenting process of research, review and innovation, Videotree ensure the technological ingenuity behind the brand stands at the leading edge of their industry. This thirst for innovation and staying ahead of the game led to the development of a range of revolutionary IP-enabled televisions for multi-room environments (the first of their kind), a range of robust yet elegant outdoor televisions and a range of bespoke mirror televisions with innovative design features and luxurious finishes – all whilst putting perfected performance first. Not only did Videotree revolutionize the impact of TVs on multi-room environments with IP-enabled televisions, they incorporated, and continue to integrate, inventive design features that put performance perfection first. The bench-marked standards they have set along the way continue to inspire those who strive to emulate their presence in this dynamic and fast-paced industry. Videotree strive to provide the highest standards of customer service throughout each client’s journey – from the initial vision, right through to the design and installation – ensuring that each customer is completely satisfied with every part of the process. 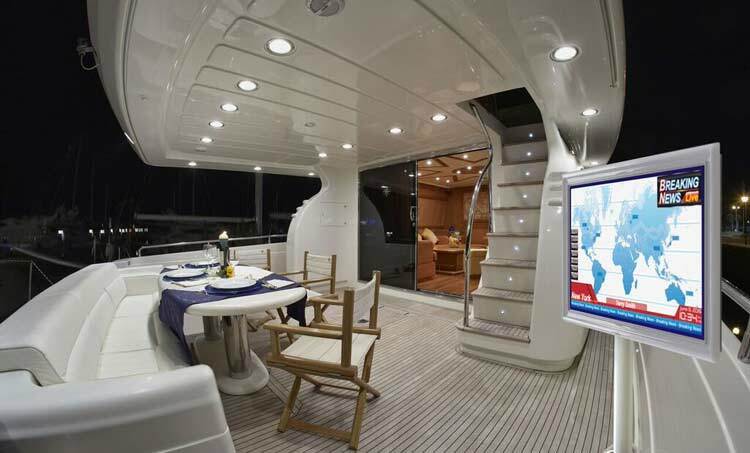 This superior level of service has attracted an array of international clients, installing waterproof, mirror and outdoor televisions into homes and businesses across France, Dubai, Russia, Germany, Spain and the USA to name a few. 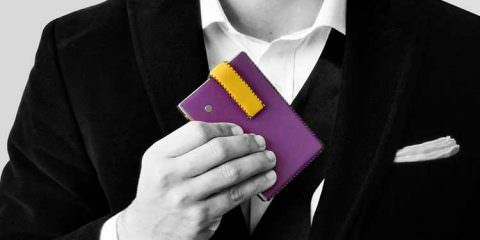 Based in Surrey, Videotree are proud to be a member of the Made in Britain campaign and bear the marque on all of their products.